LATEST NEWS: Places still available for all voices, with tenors and basses particularly welcome. Join us for this supportive and engaging course – designed to expand your repertoire, develop your sight-reading skills and inspire you with excellent technical advice from our conductor and section leaders, all professional singers and experienced educators. Some familiarity with notation is assumed, and our tutors are expert in working with a broad spectrum of experience. Sectional rehearsals help members to become familiar with the music and one-to-one sessions throughout the week provide the opportunity for you to work on specific areas or perhaps a favourite solo piece – the amount of time and input from the choral tutors really is unique to NLMS. Our 2019 selection features Mozart’s glittering ‘Orgelsolo’ Mass, contrasted with evocative songs from medieval Montserrat. We then explore Lili Boulanger’s evocative Hymne au soleil, Cecilia McDowell’s brilliant folksong settings and Eric Whitacre’s Cloudburst, a dazzling choral tour de force. Plenty of time is included for singing through additional music, with repertoire from across the centuries. The course concert provides a wonderful opportunity to perform the repertoire, accompanied by instrumental tutors from the orchestral courses and conducted by Tom Leech. 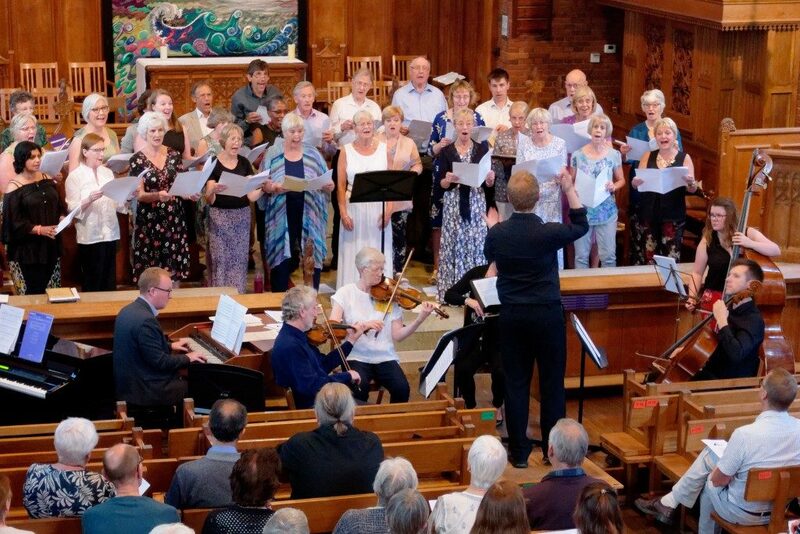 Members are also encouraged to join in the Open Choir session, the Open Vocal Ensemble sessions (with a huge range of repertoire from madrigals and catches to opera choruses), and are welcome to perform in the members’ concert.